It's known as the Valley of the Moon. 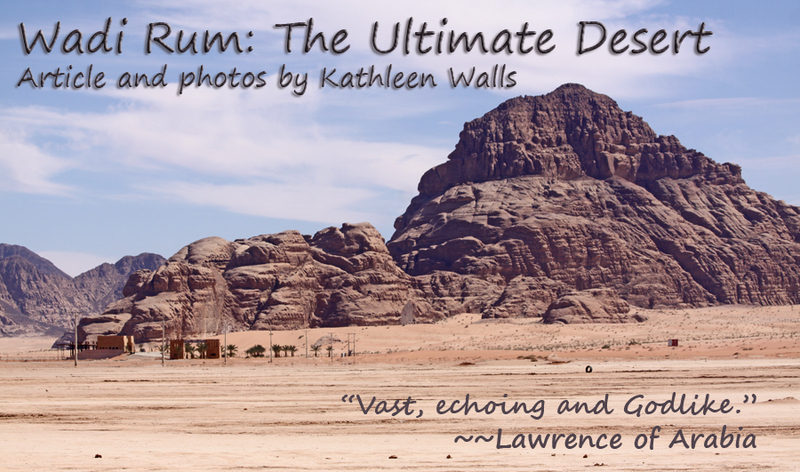 The landscape of Wadi Rum is so exotic it might well be on some ancient orbiting rock. It is so unique it has been named a UNESCO World Heritage Site. When we first ventured out into it in rugged old four-wheel drive pickups driven by Bedouins who appeared as tough and self-reliant as their vehicles, the pavement rapidly disappeared behind us. We faced unending sand punctuated by strangely eroded mountains that seemed older than time. I experienced a thrill knowing that this was the same landscape Lawrence of Arabia wrote about in his Seven Pillars of Wisdom. We departed Captain's Camp after a traditional Bedouin lunch and spent the next four hours in this harsh wonderland of twisted shapes and endless sand. Without our driver guides, we would most likely turn up as desiccated bodies found weeks or months later by a Bedouin who would shake his head at the stupidity of tourists who tackled Wadi Rum without a guide and lots of water. How our guides knew where they were going is a mystery. There are tire tracks but they crisscross and lead all different ways. Nonetheless, they took us to some fascinating sites. One of our first stops was a Bedouin camp. They had set the camp into a protected place in the cliffs and on some of the walls there were carvings of the faces of Lawrence of Arabia, Prince Abdullah Bin Al Hussein, and Sheik Odah Abu Taeh. What a reminder that Wadi Rum was Lawrence and the Arab leaders' resting and planning place for the unbelievable attack on Acaba during the Great Arab Revolt. Next we stopped at a large goat hair tent. We entered and found a small shop filled with souvenirs. Our host and his pre-teen son offered us hospitality, sweet Bedouin tea. Let me note here that in the desert, iced tea is unknown; you are always served either the hot sweet tea or a very strong coffee. The Bedouin hospitality is legendary. That tea is really sweet and always ready for a guest. One of the cats you see all over Jordan, wondered in and lay on the counter with the merchandise. The boy began playing with the cat and we could see it was quite tame and friendly. Back in the trucks again we continued our explorations. Next treasure unearthed was some Thamudic petroglyphs high on a cliff wall in Khaz'ali Canyon. Squiggly characters of Aramaic, believed to be the language of Christ, with crude engravings of camels and riders inscribed in the soft red and orange sandstone of the cliffs. Our guide, Mohamed Qamhiya, told us that "Archaeologists believe the petroglyphs were etchings created by the Nabataean people, who inhabited this area around the springs about 2,000 years ago." The play of light and shadow on the cliffs cause shapes to appear and then reassemble as something different. The colors blended from yellow, red, brown, gray, white and the entire spectrum in-between. I looked on those cliffs a dozen times and each time saw a different image or pattern. Some rose sharp and pointed; other rounded and worn. Sometimes walls of canyons offered a few moment of shade then a return to sunshine and open sand dotted with scrubby growth with a rock outcropping here and there. One of the outcroppings kept its shape was of one of the desert's rock bridges, Jabal Umm Fruth. It stood as if over a river or chasm but beneath was only rocks and sand. It was large enough for our group of nine to stand beneath and reach upward and still be only a small speck beneath its splendor. We visited a spring, far down a canyon that was greener than the surrounding desert. These springs were what made the desert passable. The human element is small and insignificant but still present. On several occasions we found a group of the black goat hair tents set deep in a canyon and sometimes we found a group of Bedouin with their camels. Once we even saw a shepherd, his robes flowing in the breeze, with some sheep. The camels ate the small thorny bushes that dotted the desert floor and probably the sheep do also. Other human traces left from earlier days still stood here. We came to the remnants of a stone building. Part of a back and one side wall stood several feet apart from an overhanging cliff which must have formed the other wall. The roof was gone and a portion of the wall had tumbled into a heap of rubble. A Bedouin family had set up a tent nearby. According to the guides, this is the site of Lawrence of Arabia's house. A bit of research stated that it was once a tariff point and rest-stop for caravan travelers prior to Lawrence's arrival possibly built on the remains of a Nabataean structure. Lawrence probably used it as a rest point and to store weapons while he was in Wadi Rum. By sunset, our drivers took us to a spot near where our camp was set up within a sheltering circle of mountains. We watched the sun sink and the temperature drop and headed for our camp. The camp was one of Captain's private camps. We each had a traditional black goat hair tent with spare furnishings, a small folding bed with a thin mattress and a chair. Since the night was cool, there were two blankets. There was a shelf built into a corner for my candles. Outside the grounds were illuminated with luminaries. A cheerful fire blazed in one section with several couches around. Dinner was being prepared while we sat around the fire and sipped that great Bedouin tea. Our attendants were preparing a traditional meal of meat, and vegetables cooked in a large closed metal pan buried on a bed of hot coals and covered with sand called a "zarb". It was delicious. I even dared a cold shower in our tent/restroom facility. The fire was still blazing and the stars above were brighter than at home but my bed was beckoning. In spite of the Spartan conditions, I slept wonderfully in my Bedouin tent. Our Wadi Rum experience was not yet over. Come morning, I dressed quickly and had a quick cup of Bedouin tea and headed out to mount my camel. Others enjoyed the strong coffee. One of our group slept in a little so her camel came to her tent to wake her. Camels are not like horses. They kneel while you mount; then rise. If you are smart you grip both of the wooden horns in front and back of the saddles and hang on tight. Mine almost unseated me when he (or she) rose, hind feet first tossing me forward. Then he rose on the front legs tossing me back into position. I can only say a camel ride through the desert is vital to understanding the culture. We rode for 45 minutes. Long enough to become more accustomed to the gait and view Wadi Rum in morning light. I realized I did not want to ride a camel through the desert all day long as Bedouins do but one day I want to return and explore more of this unreal place. It is just as T. E. Lawrence described it; "Vast, echoing and Godlike." 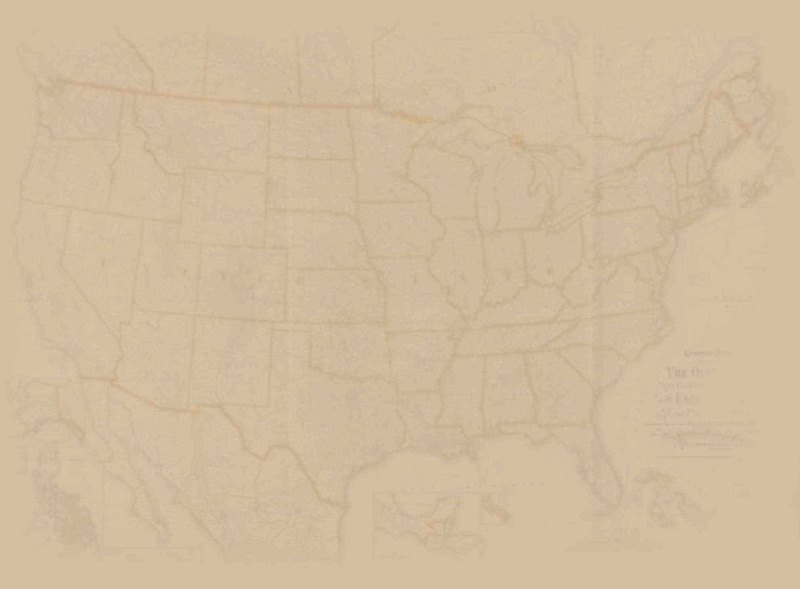 American Roads and Global Highways has so many great articles you may br>want to search it for you favorite places or new exciting destinations.